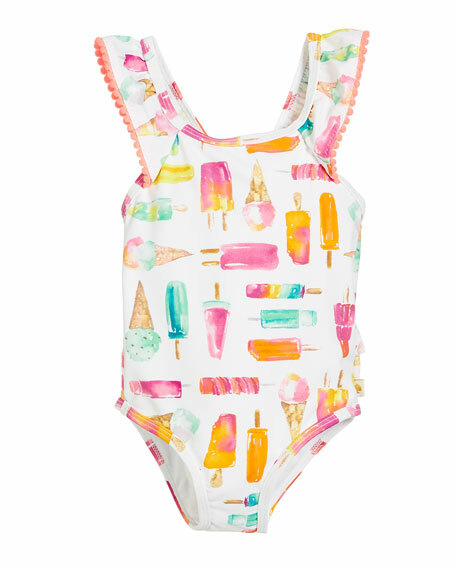 kate spade new york one-piece swimsuit in ice pops pattern. Scoop neckline; V back with bow detail. Short, ruffle sleeves with pompom trim. 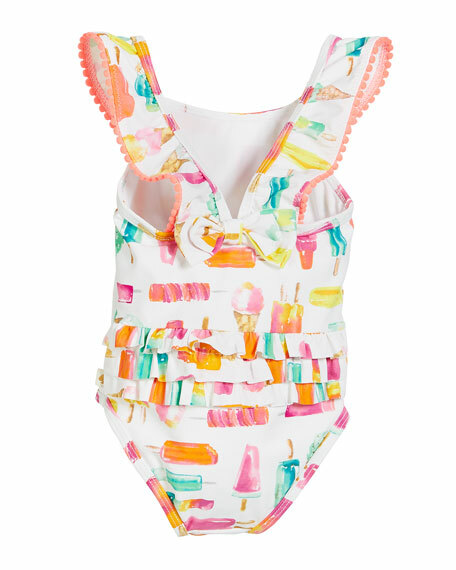 Tiered, ruffle trim at seat. For in-store inquiries, use sku #2587572.